The increasing number of technologies and devices (including iPhone, iPad and alike) provides new perspectives for the use of multimedia applications in the broad field of Cultural Heritage. Users no longer sit in front of a computer at home, but they access multimedia information all the time, circumstances and venues, choosing – among the many devices available – the most suitable ones. Since the 1960’s, media has entered the “world” of art and the “space” of museums and galleries, questioning every fundamental assumption in museum practice. Focusing on communication, this paper shows a successful example of multichannel communication in Lugano, and therefore the role multimedia and technology play in tighten the relationship between culture and territory. It also recounts the background and the collaboration among the Università della Svizzera Italiana and the City of Lugano for the development of a culture oriented multi-channel communication, in particular focusing on the real-life example “NIPPON”, four exhibitions and numerous events through the culture of Japan, taking place in Lugano (Switzerland) from October 2010 to February 2011. Indeed, the emphasis is on the long term collaboration between the city of Lugano, its museums and the Università della Svizzera Italiana, the origin of this partnership, as well as the making of the NIPPON-multimedia, developed as support to the diffusion and understanding of the four exhibitions held during this event. NIPPON-multimedia (www.nipponlugano.ch) is a multimedia application developed at the occasion of the exhibition project “NIPPON. Between Myth and Reality: Art and Culture from the Land of the Rising Sun”, and describes a successful example of “Instant multimedia”, a novel approach for generating multimedia “narratives”. Developed with a conceptual framework and a technology (1001stories) firstly created at Politecnico di Milano (HOC-LAB), this application has been further developed and improved at Università della Svizzera Italiana (TEC-Lab), its content has been “adapted” to the different devices, and the technical formats have been optimized for the different technologies used (web, podcast, iPhone-applications, Smartphone, iPad, etc.). An innovative authoring environment has been developed to coordinate all the different productions. A novel “adaption” strategy has also been experimented. Since the beginning of the 20th century, decades before the coming of the multimedia era, the whole idea of the sensorial association and combination of sounds and visions sprang from the nascent avant-gardes, and the first half of the 20th century offered the public an incredible production of technical machinery able to merge and swirl the senses of hearing and looking. Since then, the growth of media has been wild and the continued development of technologies has expanded the possibilities and forms to an uncontrolled extent. Moreover, in the past decade the role of the online/web environment has grown exponentially, offering a space free of control and restrictions, where working, creating, and experimenting has been possible – and still is – challenging not the physical boundaries, but the limits of this technological and virtual environment. 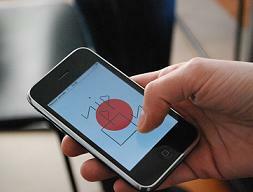 The accessibility of new electronic and digital technologies represents today a benefit for the exhibition’s audience. Indeed, thanks to the collaborative projects developed between the City of Lugano and the Università della Svizzera Italiana, Cultural Heritage and museums have found a venue for fresh improvement and new opportunities, in particular engaging multimedia technologies in the broad field of Cultural Heritage. NIPPON-multimedia represents the most recent result of a solid and long term collaboration among the Faculty of Communication Sciences and the City of Lugano. Since 2008, throughout a number of different collaborations, the use of new communication technologies for the improvement of the cultural offer has emerged as a source of great potential and has become a common field of practice, applying theoretical research on field projects. Previous experiences, made on the occasion of exhibitions “Enigma Helvetia. Arti, riti e miti della Svizzera moderna” (2008) and “Guardami. Il volto e lo sguardo nell’arte 1969-2009” (2009), have provided further analysis of the available tools and technologies among the audience’s need and expectation, and have lead to the latest improvements, presented at the occasion of “NIPPON”. In the past four years, the cooperation with the City of Lugano has grown at fast pace, from the initial collaborative projects with the Museo Cantonale d’Arte and the Museo delle Culture, to the participation of the whole City, its “Dicasteri” and museums, including not only multimedia applications, but also a number of cultural events. The building of this tight connection has occurred in a crucial moment: at the time the City of Lugano is rethinking itself and its cultural offer. Indeed, the territory of the City and its museums are turning to a new approach to cultural offer and events, and “NIPPON” represents the starting point of a process of renovation. The initiatives of this event are not isolated, or competing against one another. On the contrary, they are conceived as part of a program consisting of integrated activities, according to the spirit of a modern, pervasive culture, capable of leaving its mark in the city. The same spirit of unity lies under the curatorship of this event. The new attitude expressed with this exhibition project links the whole city and its several exhibition venues, and tightens the collaboration between the two parties, in the geographical space of the City, the surrounding territory and in the virtual space of the web as well. NIPPON-multimedia is an extraordinary project tightening together two of the main culture providers of the area. Furthermore, it is an extraordinary technological support to the diffusion and understanding of the exhibitions and it has been created using an innovative authoring-delivery environment (1001stories), available as web service, that allows creating multimedia multi-channel applications in an easy and cost-effective way. 1001stories was first developed at the HOC-LAB, Politecnico di Milano, in 2005, with the aim of producing multimedia (audio, images, texts), multichannel (web, CD-rom, podcasts, cell phone, etc.) “narrative” applications. From a technological point of view, 1001stories is an engine, written in php, composed by 3 main parts: a Data Entry, a Preview and a Generator. The Data Entry is a simple authoring environment enabling the user to edit the editorial plan of the story and to enter content for each element. The Preview allows to visualize at any moment of the process the content inserted, as it will appear to the final user. The Generator produces and publishes the final applications (for the different delivery channels). Since its creation, the toolkit has been improved and it has benefited of several enhancements. In particular, it has been improved to serve the so-called “Instant Multimedia” approach, namely the production of multimedia interactive applications characterized by a combination of speed and low-budget as well as quality and effectiveness. The environment “1001stories” supports the “Instant multimedia” approach: a novel architecture, based on XML and XSLT transformations, allows an engineered and streamlined production process. A key feature is to adapt, in order to tune applications for the different devices and formats. Indeed, the need to deliver one application over several devices through a variety of formats requires the use of a particular content building strategy, in which single items of content are recombined forming different information architecture, allowing the same item to be reused, forming new text. This process requires a nearly neutral content writing style and keeps the authoring cost-effective. Today Cultural Heritage has the need of producing multimedia application within a short period of time and with a limited budget, but guaranteeing a very high quality and seeking at several technological channels and 1001stories serves this purpose. NIPPON-multimedia is one example of this novel approach for generating multimedia “narratives”, available over a large array of devices and formats and supporting a wide range of user experiences. – delivery of the multimedia-application. • 4 (+ 4) “interactive narratives” (for the Web, offline and Information Point). The web version can be accessed via web; the offline version has been used for CD-ROM or e-Key delivery. • A “set of playlists” downloadable for MP3 and MP4 (iPod, smart-phone, and similar devices). • An “interactive map”. This is a version suitable for information points or for web consumption. An interface of images is shown: when an image is selected, the corresponding item of the narrative is played. All these elements are conceived in the frame of a website, hosting video presentations by the curators of the exhibitions and coordinator of “NIPPON”, trailers promoting the exhibitions, as well as practical information. More than 1000 images, and hours of audio visual material, in English and Italian. More in detail, as far as the content concerns, for each exhibition there is a multimedia introduction, explaining the cultural context, the themes and the approach of the exhibition itself; “Highlights”, instead, are multimedia presentations to a selected group of works, a sort of introduction of a selection of the most relevant exhibits. The Highlights are either linked to the multimedia introduction to the exhibition’s themes, to provide insights when relevant, or they can be accessed on their own, as a small multimedia catalogue. An additional feature is “Nippon at a glance”: a highly innovative “interactive map” (a mosaic) where users can select an image and get content, taken either from the multimedia introductions or from the highlights. “Nippon at a glance”, merges together all the different multimedia items, creating an emotional and exploratory space, that can be driven by selecting an image, or a specific word (used in the audio) or a specific artist. The map is relaxing and educational all at once: it can be accessed via PC, iPad or iPhone. 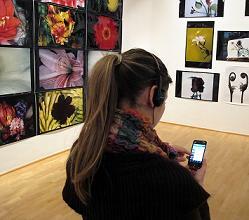 Podcasts can be used to download all the content and could serve as mobile guide in the exhibitions’ space. The applications produced with 1001stories can be delivered over the web, mobile devices (smart phones, iPhone, iPad), off-line (CD-rom, USB key, mp3 players, iPod) or on-line, over standard cell-phones (audio only), through social spaces, etc., needing basically an authoring effort (including some “adaptive adjustments”) and a technological effort. The toolkit is quite easy to use and therefore manageable also by a non technical staff (to create/adjust/update the application). The production process is streamlined and effective. The authoring environment’s process requires only basic technological skills: creating text, audio files (MP3), pictures (jpeg), and uploading files. The need to deliver the “same” application over several devices and using several formats, forces the adoption of an apparently simple “building blocks” strategy: small items of content are recombined to form different information architectures. In order to keep the authoring cost-effective, an almost neutral style has to be adopted. This way, the same piece of information can be reused and recombined with new blocks, forming new text. However, despite the requirement of delivering the “same” application, a number of “adaptations” across the different channels and formats needs to be applied. The 1001stories authoring environment has been streamlined, so to be very simple to use and with almost no technical knowledge required, suitable for professional, semi-professional and non-professionals authors. In different domains, but in particular in the field of Cultural Heritage, the need for multi-format applications is growing: the variety of devices for “content consumption” grows at fast pace, as well as the technologies available. In addition, the user experiences keeps changing. Visitors require more than plain information about artefacts and objects, and have diversified, becoming more and more sophisticated. Simultaneously, user experiences have evolved, asking for different needs, situations, venues and contexts as well as different purposes for using the application. In this frame, 1001stories keeps expanding its family of devices and formats, in order to improve quality and to better meet users’ expectations. “Everywhere, for everyone and anyhow” is coming true. Users in fact can choose the devices that best suit them and the situation they prefer: PC, smart-phone, iPhone, iPad and alike. The content is downloadable and therefore consulted from home, while travelling, at exhibition itself, etc. Visitors, indeed, are encouraged to use NIPPON-multimedia in order to get prepared for a visit, or as a way to re-enact the emotion of a visit, or even independently from any visit. All multimedia items are accessible also via YouTube, allowing sharing and user participation. NIPPON-multimedia represents an innovation in multichannel communication: a single authoring and technological effort – and therefore cost effective production processes – for a large number of accessible channels. The collaboration among the Università della Svizzera Italiana, in particular of TEC-Lab, and the City of Lugano and its museums, is creating a valuable bond, a win-win situation for all the parties involved. 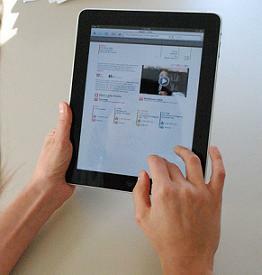 To begin with, museums and exhibitions visitors take advantage of a free technology, available both on and off-line. A technology that allows new and stimulating ways to understand and enjoy the exhibition content and artworks. In particular, among the visitors, the young generations have provided enthusiastic feedback to the use of this new tools, that often become an integrating part for the museum/exhibition’s experience. Additionally museums, thanks to the new technology, have original and fresh opportunities to add value to the exhibitions and make them more appealing, reachable and visible to the public. Researchers, on the other hand, thanks to the experiences on the field, have the opportunity to perfect the existing technologies and to improve the quality of technology based communication, in particular in Cultural Heritage. Indeed, the development of new strategies for dealing with communication are high on the agenda of the international community in the broad field of Cultural Heritage, that, as many other application domains, suffers from a persistent scarcity of funding, but also needs to react to ever-changing requirements. However, theoretical reflection lags behind and often does not consider that the museum experience, with the support of multimedia content (in particular with mobile devices), affects the way artworks are understood as well as the meaning they are invested with. Therefore, this experience aims to contribute to a reflection on this specific area of Cultural Heritage, including the most recent and specific forms of communications for art, such as multimedia. Multimedia, indeed, must address the specifics of context and audience to serve museum needs. They must be designed to support conceptual and aesthetic standards, and must work all the time. Multimedia forces on the producer a keen awareness of the audience. Museum shall become, then, a media laboratory, not experimenting the limit of technology, but exploring the nature of learning. At present museums and cultural institutions in general experience a chronic shortage of funding, and therefore they need to react and explore new ways of communication. Today “Instant multimedia” provides a valuable response. Short time for production and low-budget stimulate the expansion of multimedia interactive applications in Cultural Heritage, allowing targeted experiments, fast reaction to unforeseen needs and continuous improvements. In this frame NIPPON-multimedia represents a successful example of application, created with the “Instant multimedia” approach: a high quality multi-channel application, created with a reduced time and effort. Our plan for the future is to keep reinforcing our production workflow, in order to further reduce time and effort required for delivering high quality applications. Di Blas N., Paolini, P., Rubegni E., Sabiescu A. (2010). A format to design narrative multimedia applications for cultural heritage communication. Proceedings of the 2010 ACM Symposium on Applied Computing (Sierre, Switzerland, March 22 – 26, 2010). SAC ’10. ACM, New York, NY, 1238-1239. Di Blas N., Paolini P., Rubegni E. (2009). ICT for Cultural Heritage Communication: Investigating the Impact. ESA conference, RN07 Sociology of Culture, 4-9 September 2009, Lisbon, Portugal. Di Blas, N., Bolchini, D., Paolini, P. (2007). Instant Multimedia: A New Challenge for Cultural Heritage. In: Bearman, D. & Trant, J. (eds.) Museums and the Web 2007. Available online at http://www.archimuse.com/mw2007/papers/diBlas/diBlas.html.